SichtBar: The best Spicy Noodle Mexican Mix ever! 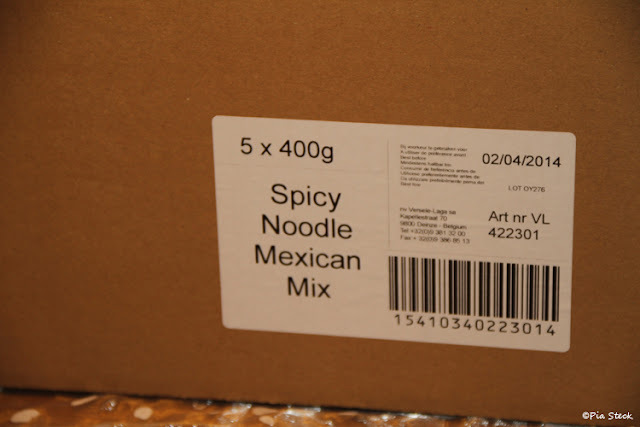 The best Spicy Noodle Mexican Mix ever! 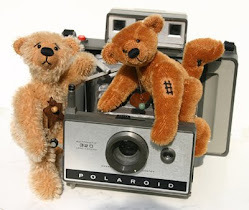 Guess who is blogging today? Mom and our Sissi brought us home in this cardboard box. But not from Mexico. 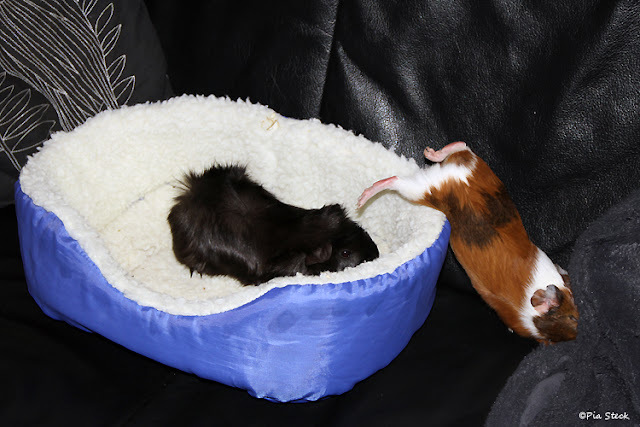 Everyone knows that guinea pigs come from Peru. 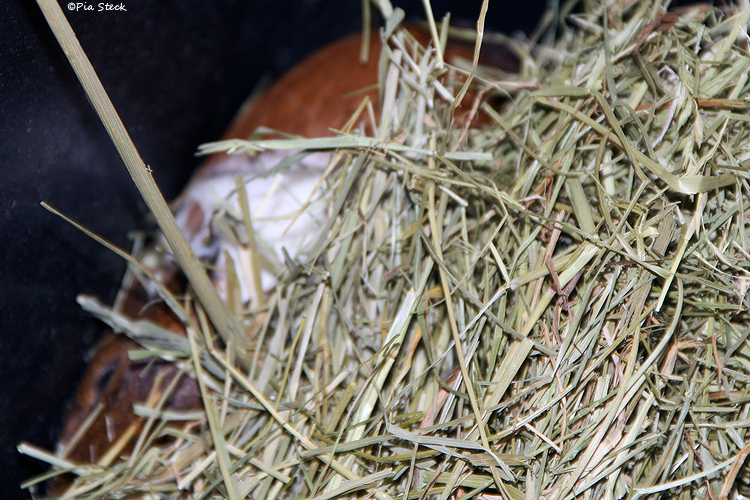 We Spicy Noodles had been a bit shy first and hiding in the hay for some hours. But then we came out to say hello. I was allowed to use my Sissis laptop for training. 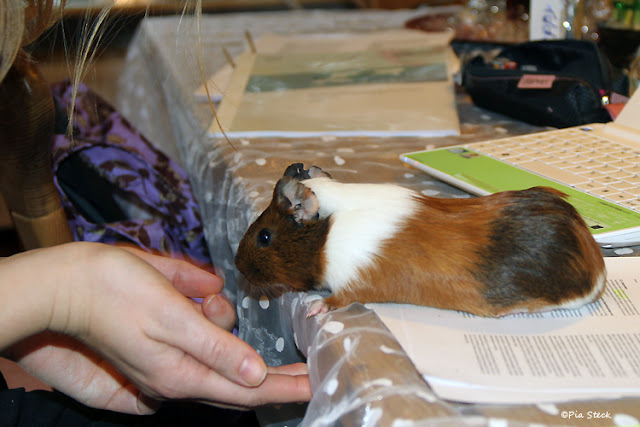 Moms laptop was broken down and there was long time no blogging for her. But she got a new one two weeks ago so there is no more lame excuse for no update. I think she is just too lazy busy. Lurchi needs some more training at the laptop. He is a boy ya know. But he will post by his own soon. 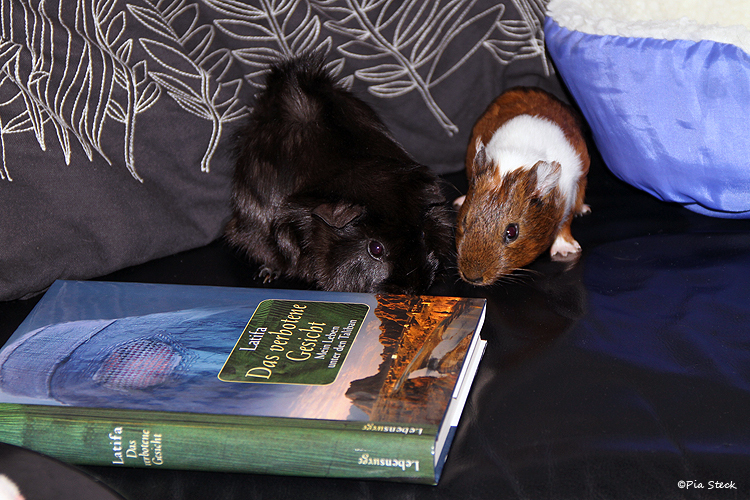 Here we are on the sofa checking Moms book. Tastes good. We love to sit on the sofa. But guess what happened after I hopped out of our snuggle nest? I hopped also down from the sofa on the floor!! 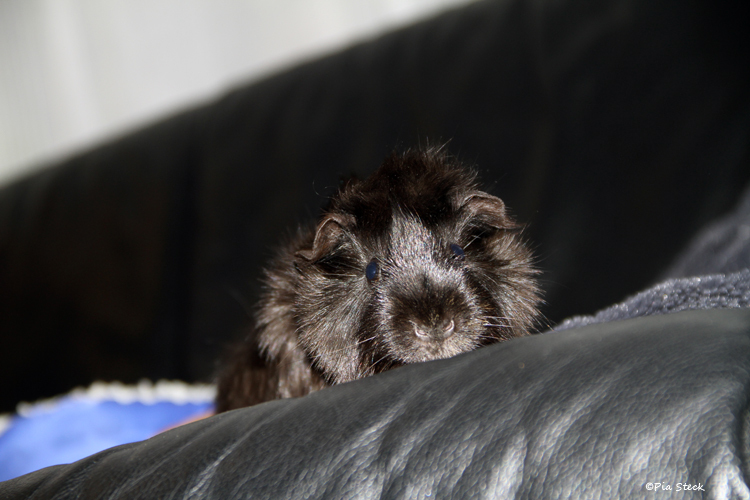 A black guinea pig on a black sofa. Lurchi Leopold. I am really a cuty face as I can say so myself. Look. Here we are all happy that the sun is back. We read in the newspaper that this was the darkest winter of the last 47 years. So there is a chance that Lurchi and I can go outside in the garden and sit in the grass for the very first time. We keep you posted! Hoffentlich versteht ihr beiden deutsch! ;O) Ihr seid ja so süß und macht eurer Familie sicher viel Freude! 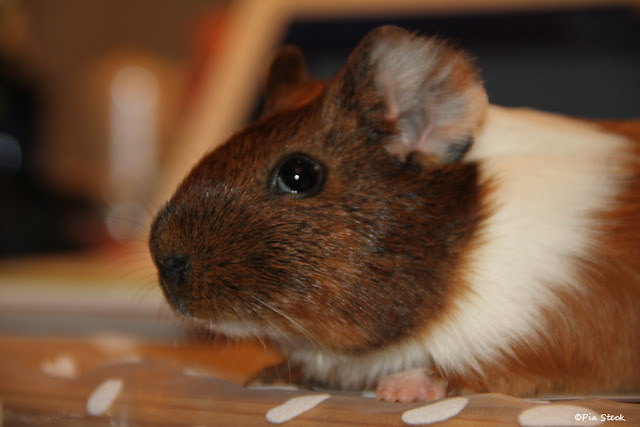 These are two adorable new additions to your family, Pia. You're going to have great fun I can tell! 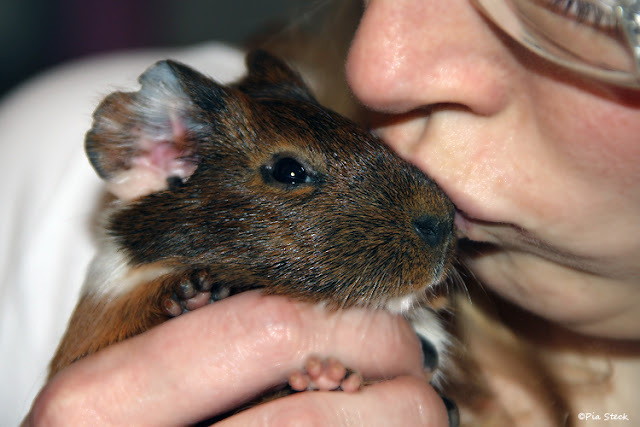 deine beiden süßen Schnuten sind einfach nur goldig! 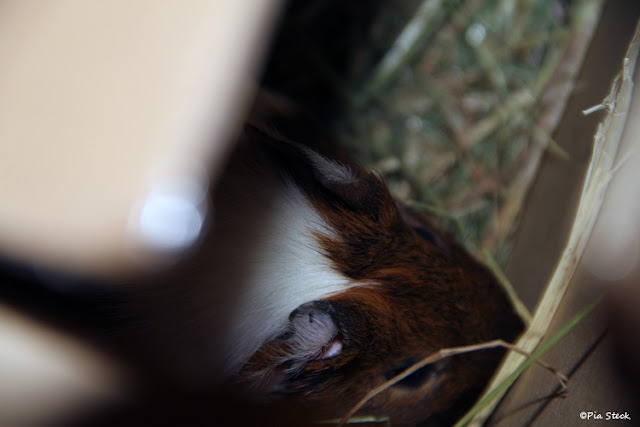 Ich liebe den schwarzen Wuschel und bin begeistert, dass deine Luna so eine Kuschelnase ist. Selber habe ich die wenigen sonnigen Tage damit verbracht, das Außengehege für meine drei Fellnasen zu richten. Die hatten leider noch nichts von dem tollen Wetter und gerade ist es auch wieder so zu gezogen, dass ich das Gehege gleich wieder regenfest gemacht habe. Aber den nächsten Sonneschein nehmen sie mit! Your new family additions are adorable. They are quite good at the computer, too! :D :D Happy critter day! They are so cute. Love these photos. they are adorable! congratulations on the new additions! How wonderful for you! I love the photos. Adorable faces on these sweet babies. 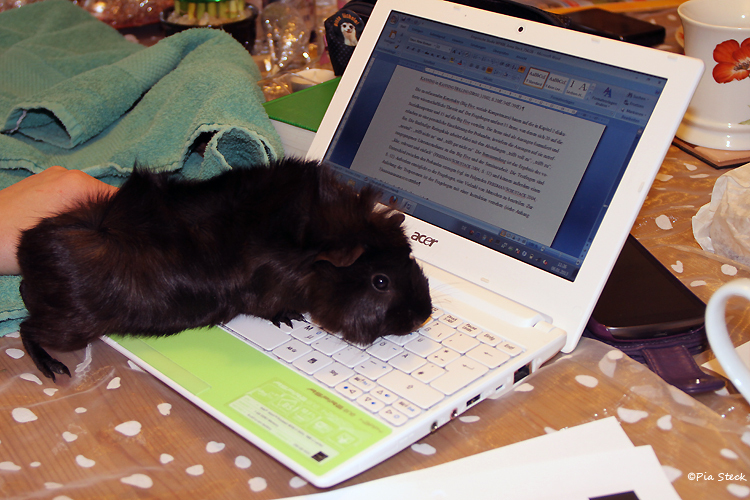 Sorry about his ear....and what intelligent guinea pigs to know how to blog on their mama's laptop! They're so cute! I had a guinea-pig when I was little. Oh, how cute they are. My son has been wanting one.. Trying to catch up with Camera Critters entries. Hope you'd stop by and post a comment on my BUTTERFLY entry. They are so cute...and very photogenic. They're leading the good life at your house! Lucky babies! die beiden sind ja so niedlich, ich bin mir sicher die machen viel freude. einen ganz lieben gruß an der ganzen familie! 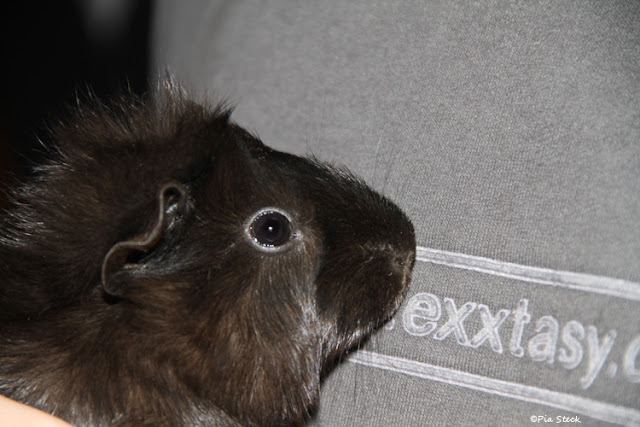 The new kids are adorable, Pia. Hope you get some sunny days in the spring. was für 2 niedliche kleine Geschöpfe. Da wünsche ich Dir viel Freude mit ihnen. Du hast eine wirklich schöne Fotoserie erstellt!